Ray is a second generation builder and developer who grew up working summers with his father in the family building business. Early on Ray learned every facet of construction job skills ranging from laborer, carpenter, estimator, to working on an engineering survey crew. Ray graduated from the College of Architecture, Georgia Institute of Technology with a Bachelors of Science in Building Construction. 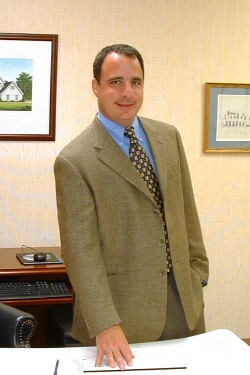 After college, in 1981, Ray joined the company and managed the entitlements, financing, marketing and construction for community developments in Pennsylvania, New Jersey and Delaware. As an Owner and President of Iacobucci Companies, Ray, since 1983, developed and built over 1800 homes in communities throughout Southeastern Pennsylvania and Southern New Jersey. By the late 80’s, Iacobucci Homes grew and completed over 450 homes per year ranking 8 years in a row in Professional Builder Magazine’s “Giant 400” list of America’s 400 largest builders. In 1996, Iacobucci Homes became a division of the Fortress Group, a publicly traded company. Ray served as Senior Vice President responsible for development and construction in Delaware/Chester Counties in the Pennsylvania and New Jersey subdivisions. In 2001, Iacobucci Homes became a division of Baker Residential where as Senior Vice President, Ray was responsible for Land Acquisition and Development in the tri-state area for the Iacobucci Homes division. In 1998 Ray was awarded the Al Goldstein Industry Excellence Award by the Voice of Housing and in 2006 Ray received the “Builder of the Year” Pillar award by the Homebuilder’s Association of Chester and Delaware Counties. Ray is Past President and current member of the Board of Directors for the Home Builder’s Association of Chester and Delaware Counties, a director for the Delaware County Conservation District, and Co-Chairman of the HBA Habitat for Humanity Blitz Build. Ray is recognized throughout the industry as a leader and a developer/builder who will lend his creativity to navigate the development process and create unique, sustainable communities for the current, as well as future, marketplace.